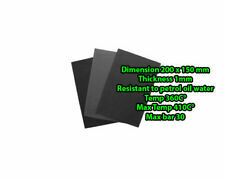 Material are resistant to water, petrol, oil. · Resistant to petrol oil water. 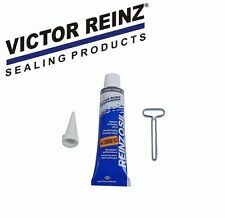 This material can be used in all places where you need good sealant. That can be oil or water pump or intake manifold on your vehicle. Head Gasket Set 99-05 Mazda Miata MX-5 TURBO 1.8L DOHC BP-Z3, BP-4W, BP-Z3T Replace OE Part #: HS26234PT, HS26234PT-1, HS9711PT-3. Head Gasket Set Fit 01-04 Mazda Tribute Ford Escape 3.0 24V DURATEC AJ, VIN 1. Specialized designs yield significant and noticeable improvements to your car engine. Advanced manufacturing technology ensures durability and optimum operation. Replace Fel-Pro Part #: HS9540PT-3. 2.0L (1975cc) DOHC 16V 4 Cyl. 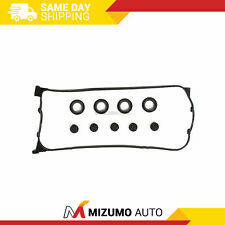 This item includes Muti Layer Steel (MLS) Head Gasket & Head Bolts. This item fits - New Arrivals. - Add to Favourites. Quick Links. CARPARTSWIZ “the smart way to buy auto parts”. This part may also be known as: Camshaft Adjuster Eccentric Shaft Seal Valve Cover Gasket. Consult us if you live in Hawaii, Alaska or Virgin Islands. 2007-2008 BMW 328xi Base Sedan 4-Door. This item is covered by our12 months unlimited mileage warranty. Spec Note: (16 Valve) Eng. Code "D17A1". Code "D16Y7". Honda Civic CX DX LX VP. Honda Civic del Sol S. Honda Civic DX LX VP. 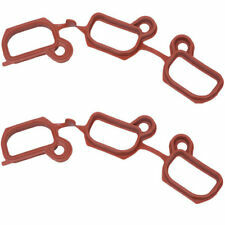 This oil pan gasket is just what you need to keep your car in good running order. Package with Screws & Gasket, 2 Year Warranty!!! Head Gasket Set Fit 96-06 GMC Isuzu Chevrolet 4.3L V6 OHV 12v VORTEC. Specialized designs yield significant and noticeable improvements to your car engine. Advanced manufacturing technology ensures durability and optimum operation. Replace Fel-Pro Part #: HS9354PT-6. Full Gasket Set Fit 01-06 BMW 325i 530i X3 X5 Z4 2.5 3.0 DOHC M54. Specialized designs yield significant and noticeable improvements to your car engine. Advanced manufacturing technology ensures durability and optimum operation. Replace Fel-Pro Part #: HS26245PT, CS26245. 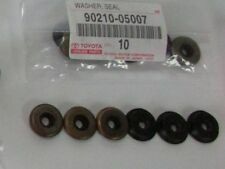 Fits 88-95 Toyota Pickup 4Runner 3.0L SOHC MLS Head Gasket Head Bolts Set 3VZE Replace OE Part #: HS9728PT-1 , 032-2858. Exhaust Manifold Gasket For 09-12 Chrysler Dodge Jeep Ram 5.7 OHV. Each gasket and gasket set is made to be durable and long-lasting. Withstand high and low temperatures to provide a reliable seal with minimal tightening. Head Gasket Set Fit 91-96 Mitsubishi Mirage Dodge Plymouth Colt 1.5 SOHC 4G15. Specialized designs yield significant and noticeable improvements to your car engine. Advanced manufacturing technology ensures durability and optimum operation. Replace Fel-Pro Part #: HS9758PT. Fits: 2006-2014 Subaru Impreza WRX 2.5L Turbo (EJ255 Engine). Fits: 2004-2014 Subaru Impreza WRX STI 2.5L Turbo (EJ257 Engine). engines are comprised of three layers of stainless steel. Replacing your head gasket?. 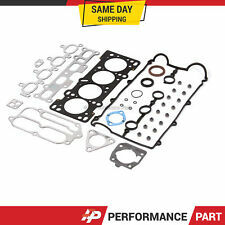 Fits 03-11 Mazda 3 5 6 Ford Focus 2.0L 2.3L DOHC Head Gasket Set MZR LFD VIN Z N Replace OE Part #: HS26250PT-4. 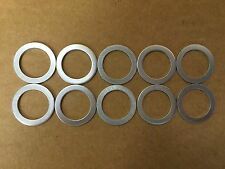 GENUINE TOYOTA LEXUS OIL DRAIN PLUG GASKET. TOYOTA FACTORY PART NO. B) in good condition (i.e. FJ CRUISER. LAND CRUISER. 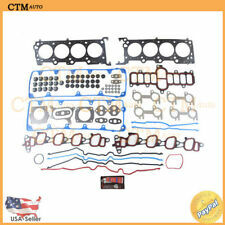 Head Gasket Set w/ 18mm Dowels for 03-10 Ford 6.0 E350 F250 F350 DIESEL TURBO Replace OE Part #: HSU26734, 26374PT. Fits 93-02 Volkswagen Passat Jetta Golf Cabrio 2.0L SOHC Head Gasket Kit ABA Replace OE Part #: HS26164PT, HS26164PT-1. 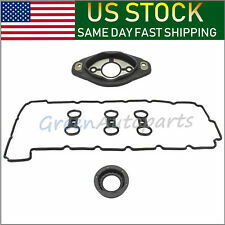 Fits 96-06 Chevrolet GMC V6 4.3L Vortec OHV New Head Gasket Kit Set Replace OE Part #: HS9354PT-6. Fits 90-98 Dodge Mitsubishi 2.0L DOHC HP MLS Head Gasket Set 4G63 4G63T Replace OE Part #: HS9627PT, HS9627PT-2, HS9627PT-4. $PART NUMBER: CH16533V1HB 98 - 06 VOLKSWAGEN BEETEL/ GOLF/ JETTA 2.0L (1984cc/121ci) SOHC L4 8V Brand New MLS CYLINDER HEAD GASKET SET w/ SILICONE Head Bolt Application 98-00 VOLKSWAGEN BEETLE 2.0L 1984CC 121CID L4 SOHC 8V ENG. CODE "AEG" 01-03 VOLKSWAGEN BEETLE 2.0L 1984CC 121CID L4 SOHC 8V ENG. CODE "AVH, AZG, AEG" 04-05 VOLKSWAGEN BEETLE 2.0L 1984CC 121CID L4 SOHC 8V ENG. CODE "BEV, AVH, AZG, AEG" 99-00 VOLKSWAGEN GOLF 2.0L 1984CC 121CID L4 SOHC 8V ENG. CODE "AEG" 01-03 VOLKSWAGEN GOLF 2.0L 1984CC 121CID L4 SOHC 8V ENG. CODE "AVH, AZG, AEG" 04-06 VOLKSWAGEN GOLF 2.0L 1984CC 121CID L4 SOHC 8V ENG. CODE "BEV, AVH, AZG, AEG" 99-00 VOLKSWAGEN JETTA 2.0L 1984CC 121CID L4 SOHC 8V ENG. CODE "AEG" 01-03 VOLKSWAGEN JETTA 2.0L 1984CC 121CID L4 SOHC 8V ENG. New Lucas head gasket set for 1979-1987 Jaguar XJ6. Willys L134 Copper Head Gasket. CJ2A, CJ3A, M38, MB, Ford GPW. Made in USA! This item is a very high quality new production and MADE IN THE USA! Not correct for the F134 jeep engine. WILLYS L134 COPPER HEAD GASKET. Very high quality copper head gasket. Made in the USA. Every other modern head gasket for the Willys jeep engines are imported from either China or India. Head Gasket Bolts Set Fit 05-09 Chevrolet Equinox Pontiac Torrent 3.4 OHV 9. Specialized designs yield significant and noticeable improvements to your car engine. Advanced manufacturing technology ensures durability and optimum operation. Replace Fel-Pro Part #: HS9071PT-3, ES72892. 96-99 Chevrolet Lumina Venture Oldsmobile Pontiac Grand AM 3.4L Head Gasket Set Replace OE Part #: HS9071PT, HS9071PT-1, HS9071PT-2, HS9957PT-1. 2004-2009 Dodge Dakota 3.7L SOHC 12 Valve V6 VIN Code "K". 2004-2009 Dodge Durango 3.7L SOHC 12 Valve V6 VIN Code "K". 2005-2009 Jeep Grand Cherokee 3.7L SOHC 12 Valve V6 VIN Code "K". 2007-2009 Dodge Nitro 3.7L SOHC 12 Valve V6 VIN Code "K". This part may also be known as: Exhaust Manifold Bolt Kit Mopar. 2000-2001 Dodge Durango Base Sport Utility 4-Door. 2000-2003 Dodge Durango R/T Sport Utility 4-Door. 2000-2003 Dodge Durango SLT Plus Sport Utility 4-Door. Head Gasket Set Fit 99-03 Pontiac Buick Chevrolet Lumina Oldsmobile V6 3.4L OHV. Specialized designs yield significant and noticeable improvements to your car engine. Advanced manufacturing technology ensures durability and optimum operation. Replace Fel-Pro Part #: HS9071PT, HS9071PT-1, HS9071PT-2, HS9957PT-1.